Official is the theme to be. Clean and simple with tons of customizations, and the only theme that syncs your appearance settings—colors, fonts, header image—across the dashboard and the mobile app. Column or grid layouts, perfect for whatever you post. 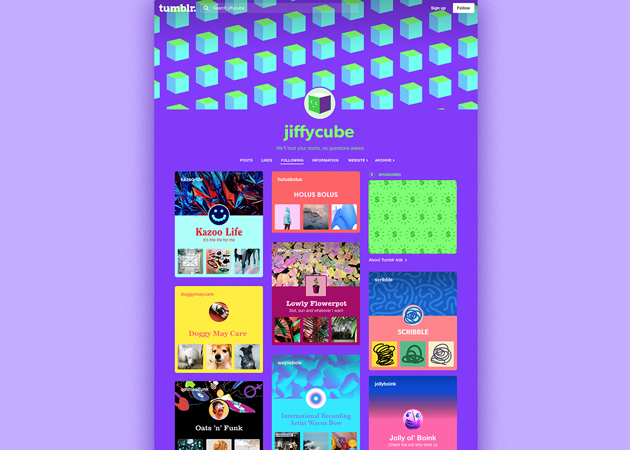 Endless color combinations, fonts, widgets, and pages. Customizable from the mobile app. Don't tell anyone but you can make it an animated gif. 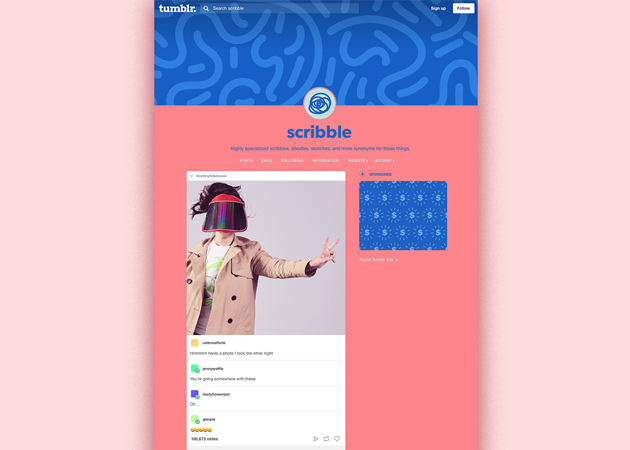 Try fiddling with the “stretch header” toggle in Settings, or see what your Tumblr looks like without one. Whatever you decide, it'll look the same across the dashboard and mobile apps too. So that's neat. Most people know you by your avatar, so maybe you want to put it on your theme too. Or maybe not, that's cool too. 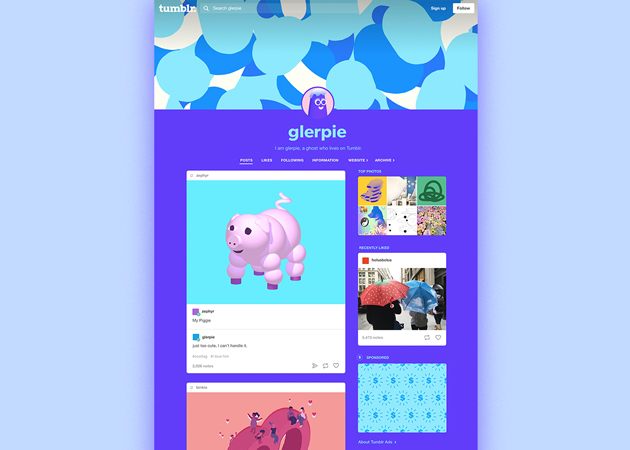 You can turn it off to give your Tumblr the right look and be safe in the knowledge that you still have a face on the dashboard. There’s something like 12 trillion different combinations of fonts and colors. Play around until you land on one that’s all yours. Like everything else, it syncs across web and mobile. There are no wrong colors. You know, if you want. 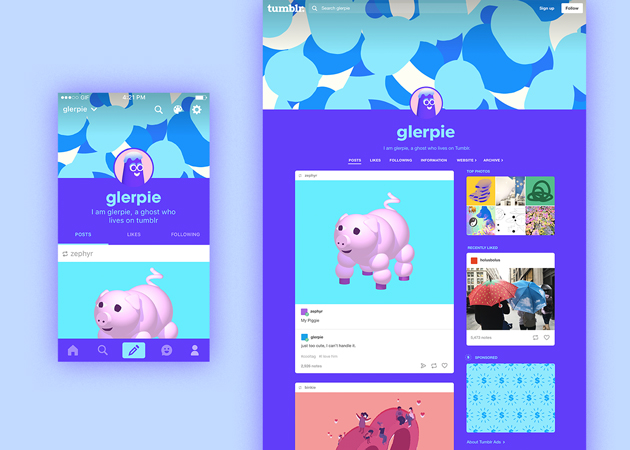 They'll appear in a little box on the right-hand side of the page when enabled, and as a tab on your Tumblr in the mobile app. Again, if you want. 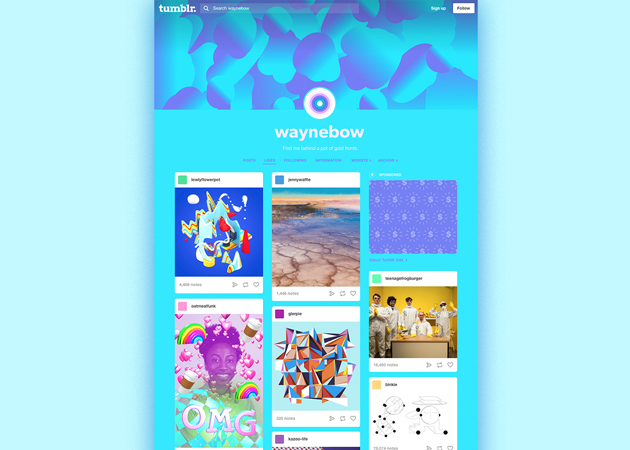 This theme is all about making your Tumblr suit your needs. They'll show as thumbnails in that same right-rail. Built in. Easy and fun! No code tweaks. Just plug in your Analytics ID.